Since the implementation of the Affordable Care Act, physicians have been dealing with both the good and the bad associated with this new law. While the ACA will generate an increase in patient volume for struggling practices, underperforming practices will experience lower compensation and various penalties. With this in mind, here are the main factors associated with health care reform that may impact your practice in 2015. Family physicians who are already juggling patients covered by private insurers, Medicaid and Medicare, are seeing an influx of newly insured low-income patients who are now able to afford health coverage through state or federally-run insurance exchanges with the aid of subsidies. As a result, more than 12 million people have gained health insurance under the ACA this year, with millions more coming in the next few years. Physicians are concerned that reimbursement rates on these exchanges will be so low that they may opt out of participating in these plans, leaving patients without a health care provider. The goal of the ACA is to help keep premiums low for the general population so that more people can have access to quality health care, however it’s unfortunately at the expense of lower provider rates. For Medicare reimbursement, the grass is a little greener. Through 2015, Medicare will be paying physicians who are self-designated in a primary care specialty a 10% bonus payment if at least 60% of their charges were for primary care services recognized by the Medicare physician fee schedule. This incentive was implemented in 2011, and the clock is winding down for physicians to take advantage of this bonus. The Centers for Medicare & Medicaid Services (CMS) began reducing payments to practices that do not comply with their initiatives. For example, in 2012, CMS imposed a penalty on physicians who do not meet e-prescribing (eRX) levels. Since then, the eRX penalty increased to 2% in 2014. 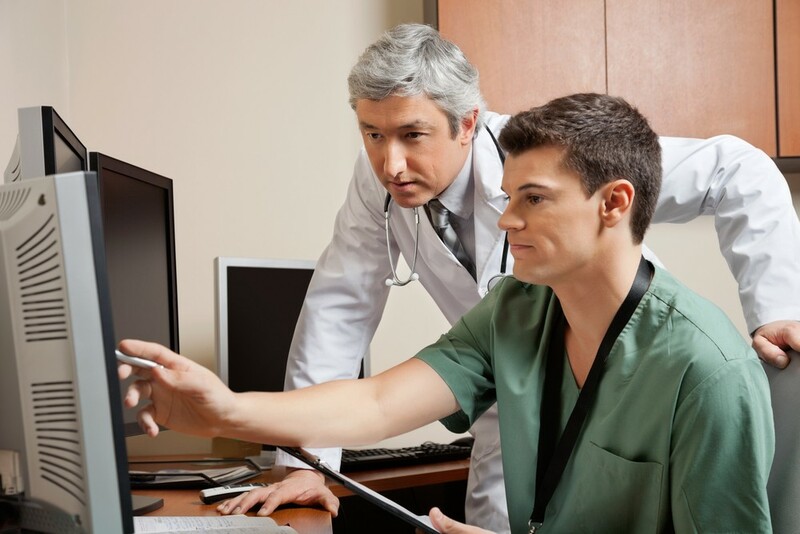 Next year, CMS will start imposing penalties for those physician practices that do not comply with electronic health records (EHR) implementation standards. On the other hand, practices may be eligible to receive bonus payments through the Medicare Electronic Health Record Incentive Program for meaningful use of EHRs. In 2015, CMS will also be implementing penalties based on the Physician Quality Reporting System (PQRS), a voluntary reporting program. According to CMS, the program applies a “payment adjustment to Eps (eligible professionals) who do not satisfactorily report data on quality measures for covered professional services.” On the flip side, practices that do meet the criteria for satisfactory submission of their reports are eligible to earn a PQRS incentive payment of 0.5% of their total estimated Medicare Part B Physician Fee Schedule (PFS) charges. Between the PQRS and the EHR penalties, family physicians could receive a fine of up to 4.5%, which could increase to 6% in 2016. The accumulation of these penalties could have a significant impact on practice profitability, especially for those physician practices that are already facing financial hardships. Health care consumers have increased buying power resulting in an increased demand for information about their health and health care options. The health insurance exchanges have transformed the way patients shop for health insurance by allowing them to compare prices of multiple plans at once. In addition to comparing plan prices, patients can also compare physicians. In December 2010, CMS unveiled the Physician Compare Website, a site where consumers can search for physicians by name, medical group, specialty, hospital affiliation, address, and other factors. A site like “Physician Compare” is a great tool for consumers, especially those who are new to the entire health insurance buying process. However, comparison sites often make the subject or entity under review uneasy. Because consumers have a louder voice in the health care market, it’s only natural that physicians would be nervous about what may or may not be said about them. The existence of comparison sites should be viewed as an incentive for physicians to produce better health outcomes and remain competitive in such a saturated field. Government data shows that two-thirds of family physicians currently use electronic health care records. And physicians who participate in Medicare and Medicaid incentive programs can receive as much as $44,000 from Medicare and up to $63,750 from Medicaid for EHR use. Physicians who chose to participate in the Medicare program after 2015 may also receive payments, however, these will be distributed at a reduced rate. As a family physician, you are on the front lines of health care, so you experience firsthand how the new health care law is impacting your business and patients. And while it’s true that some physician practices will feel the squeeze of lower reimbursement rates and health care penalties for not participating in incentive programs, the provisions in the Affordable Care Act offer more advantages in the long run when it comes to your patients’ health. With new subsidies (tax credits) and more people being able to take control of their health care needs, this allows family physicians to do what they do best – to provide quality health care and treatment to every patient who needs it – in 2015 and beyond.